As an advertising and marketing law partner at Gowling WLG, Brenda Pritchard knows what it takes to produce cutting-edge advertising that is both legally compliant and protects the creative idea. She is a trusted adviser to dozens of the world's top brands and creative agencies. 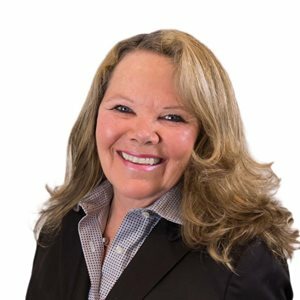 With over three decades of experience across virtually every platform and product/service category, Brenda is sought out by clients who want both practical advice and legal certainty. Her responsive service, undisputed expertise and thirst for unconventional solutions makes her the perfect partner to help your brand reach its full potential. With the vast changes taking place in the world of advertising - from the internet of things to the latest mobile app - you need someone with the confidence and business acumen to help you navigate uncertain waters while protecting your brand. When not writing for her leading text, lecturing internationally or contributing her time to Women United, Brenda enjoys jumping horses over increasingly lower jumps. Brenda is a frequent speaker to the Bar and the advertising and entertainment community, and for many years was a columnist for Marketing Magazine's "It's the Law" section. She has also been a legal columnist for Sales Promo News and Strategy Magazine. Brenda co-authored Advertising and Marketing Law in Canada, a comprehensive reference and authoritative guide to the pitfalls and potential problem areas in marketing and advertising programs, the fifth edition of which will be published in 2015.